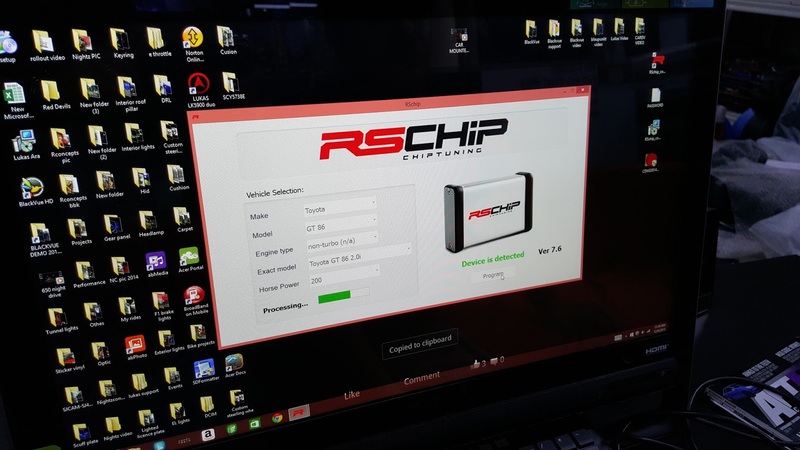 So I removed the RSchip from my GS300 and had it installed onto my GT86 today. Clearly, the good part of the RSchip module being universally adaptive needs no further elaboration. 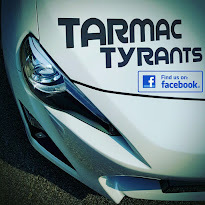 No special customised harnesses required, just a 5 minute software re-flash to suit the ECU mapping of the GT86 and you will be on your way. 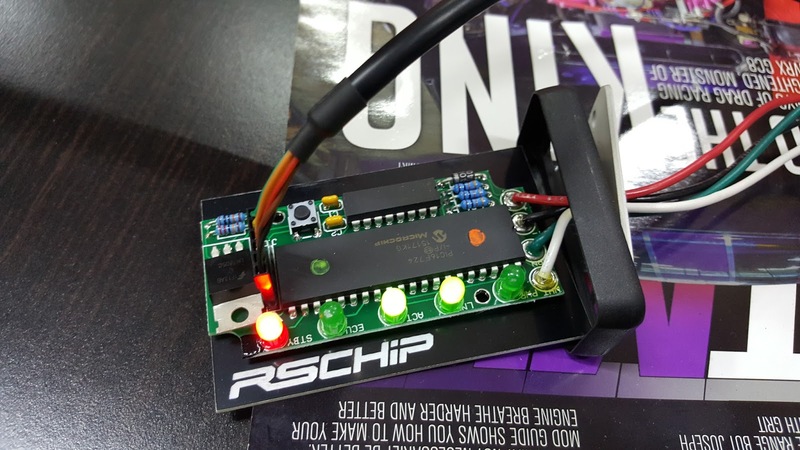 For the GT86, RSchip claims an increase of 24 horsepower and 25Nm of torque, a modest 12% increase across the powerband. Honestly, if this were really true, it would be the best bang for buck naturally aspirated tuning option at approximately S$25/pony. While I am still skeptical of these claims based on my experience with the same chip on my GS300, let's see how this fair after the next 200km of calibration. The re-programming was rather simple and straightforward. 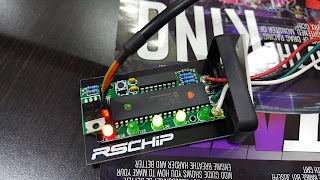 Dismental the RSchip casing, connect the motherboard of the RSchip to the CPU (via special harness) and the re-programming begins for the selected vehicle type; with data right off the RSchip website. Within 5 minutes, everything was good to go and the unit was installed under the drivers dash to the OBD port. Yes, an installation fee of S$50 is chargeable so let's see how the RSchip fairs after this weekend. Stay tuned for the follow on of this RSchip review.